WFDU(FM) began broadcasting at 89.1MHz to the New York Metropolitan area in August of 1971. 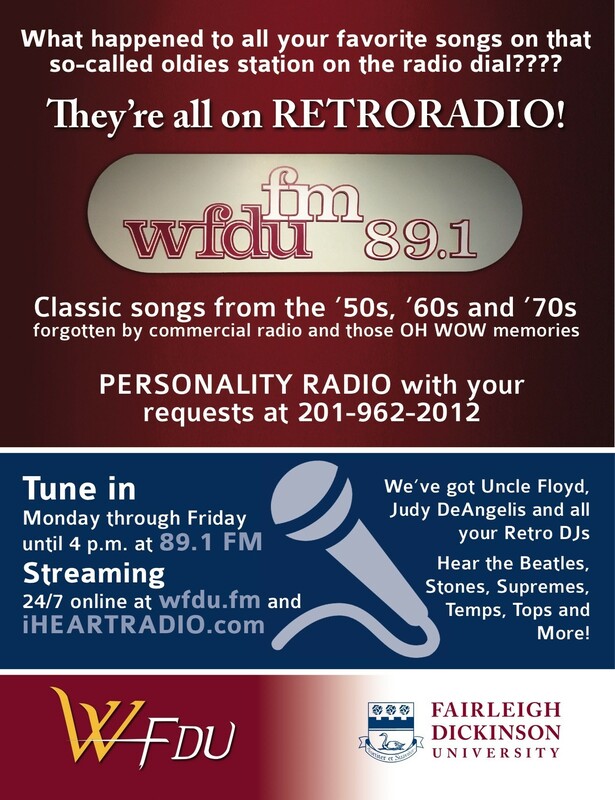 WFDU now broadcasts and streams in Hybrid Digital on HD1 – (RetroRadio Oldies), HD2 – (Eclectic Shows), and HD3 – (Student Programming). All 3 streams are available on our website: wfdu.fm and on iHeartRadio, iTunes Radio, Tunein.com and on our free iPhone & Android apps. All shows are available on-demand on our website archives. 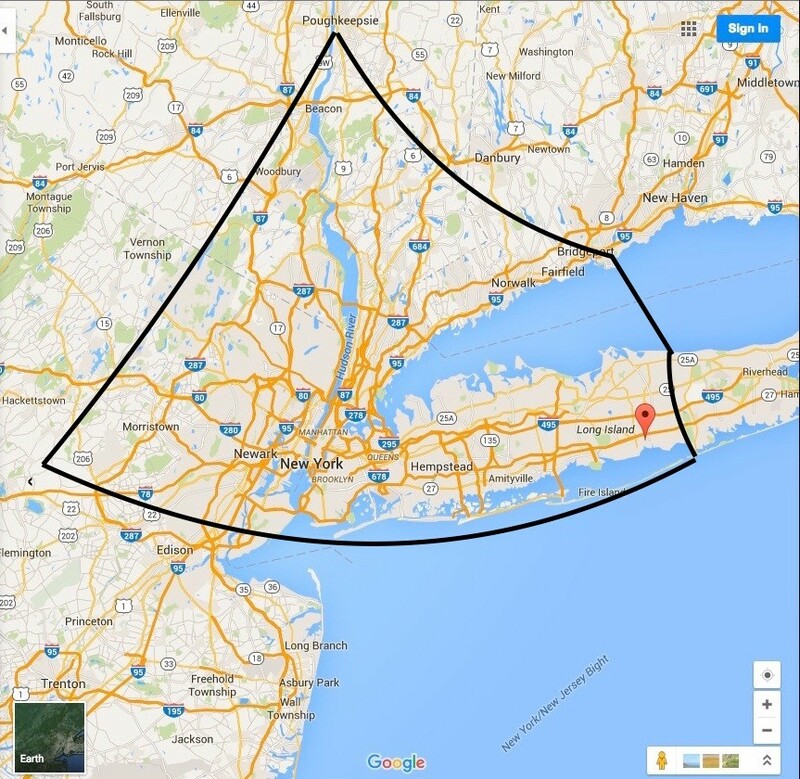 The station’s broadcast signal has a 50 mile radius of New York City which includes Northern New Jersey, the 5 Boroughs, Westchester & the lower Hudson Valley, Fairfield County Connecticut and most of Long island. The WFDU transmitter is located within the historic Armstrong Field Lab in Alpine, New Jersey. It is the site of the world’s first FM station, W2XMN, built by the creator of FM technology, Major Edwin Howard Armstrong. An output power of 3 kW allows WFDU-FM to have a potential reach to 8.2 million households. WFDU(FM) is on the air at 89.1MHz in the NYC metro area from 1:00AM to 4:00PM Tuesday through Friday and continuously from 1:00AM Saturday to 4:00PM Monday. WFDU(FM) streams audio over the internet 24/7 highlighting a variety of music genres. The mission of WFDU(FM) is to provide eclectic music programs not heard at our commercial counterparts., The objective is met through thoughtful music entertainment shows which from Monday through Friday feature our premier format; RetroRadio that includes classic pop from 1955 through 1980. This “comfort-food” music has been dropped from WCBS-FM in NYC, but still remains very popular in all age groups. On weekends we feature eclectic programming hosted by professional volunteers many of who are musicians in their own right. In the Spring 2018 Nielsen ratings WFDU was honored to have over 65,000 listeners weekly with 6am-4pm strongest, especially with adults aged 35-54. The average time spent listening was measured at 2 hours and 15 minutes! We offer the complete donor package as a 13-week buy in each format or show or smaller group announcements can be underwritten. Underwriting on WFDU is easy and inexpensive. We will work with your budget. The 13-week package is offered at a discount and varies depending on format or show.